​From concept to completion, RIC Electrics' has multi-award winning design, construction, installation and support teams to deliver your project on time and on budget. ​​​​​We’re Wagga Wagga’s experienced and trusted electrical contractors for ​industrial and commercial projects in the Riverina, Northern Victoria and across regional NSW. ​RIC Electrics offers a one-stop electrical service – whether you need an electrician for a domestic repair or installation, or an experienced team to take your commercial, industrial or civil project from concept to completion. Based in Wagga Wagga, we’ve been the trusted electrical contractors in the Riverina, Northern Victoria and regional NSW since 1969. ​A small refurb or a multi-million dollar construction: Whatever your planning, RIC Electrics’ team has the expertise and experience to take your project from start to finish seamlessly. 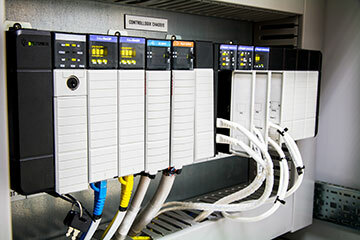 From abattoirs to water filtration plants, RIC Electrics’ team has the know-how to design, build, and install electrical automation & control systems for any industrial or commercial application. With lots of energy-saving features, RIC Electrics’ custom-made domestic, commercial and industrial electrical switchboard are competitively priced and built to last. 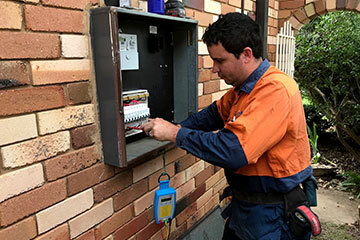 ​RIC Electrics is on call for after-hours breakdowns, repairs and installations at your home or business premises. We can also arrange a Test and Tag safety audit on your workplace equipment. Wherever personal safety and security are paramount, let RIC Security customise an affordable security solution perfectly tailored to your needs. 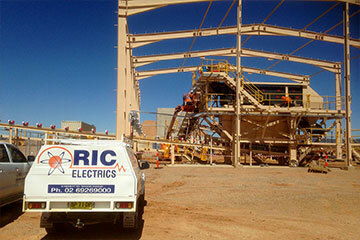 ​Domestic, commercial or industrial… no job is too big or too small for RIC Electrics’ friendly, experienced tradies. Plus, we’re on call 24/7 for urgent repairs and maintenance. 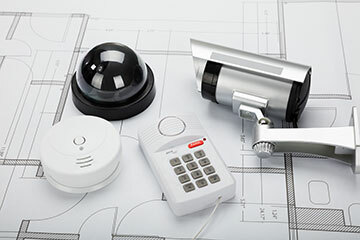 ​RIC Electrics are CCTV and security experts, offering a total one-stop service – advice, design, installation, maintenance and ongoing support – to meet your business needs and your budget. ​Turnkey solutions for commercial, civil, industrial or rural projects of any size or complexity. Our designers, engineers, project managers and electricians will save you time and money in every phase of construction – and incorporate energy-saving features that will lower your future operating costs. ​Electrical repairs or installations at your home, shop, office, factory or farm at highly competitive rates. We have fully-equipped mobile vans and service technicians on call 24/7. 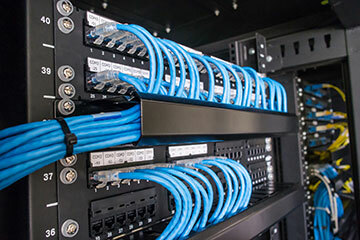 ​Fibre optic communications, data cabling, security, emergency (nurse call), fire, CCTV or telephone systems installation, backed by tailored support and maintenance services. ​Cutting-edge PLCs and SCADA systems for electrical automation and control processes. 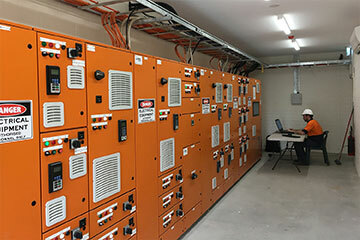 ​Custom-made domestic and commercial switchboards, Motor Control Centres, and Power Factor Correction systems. ​Money-saving, enviro-friendly ​Energy Management and Control Systems. ​Test and Tag workplace equipment audits.